Let’s celebrate the upcoming Rose Festival with a card class featuring the natural beauty of roses. 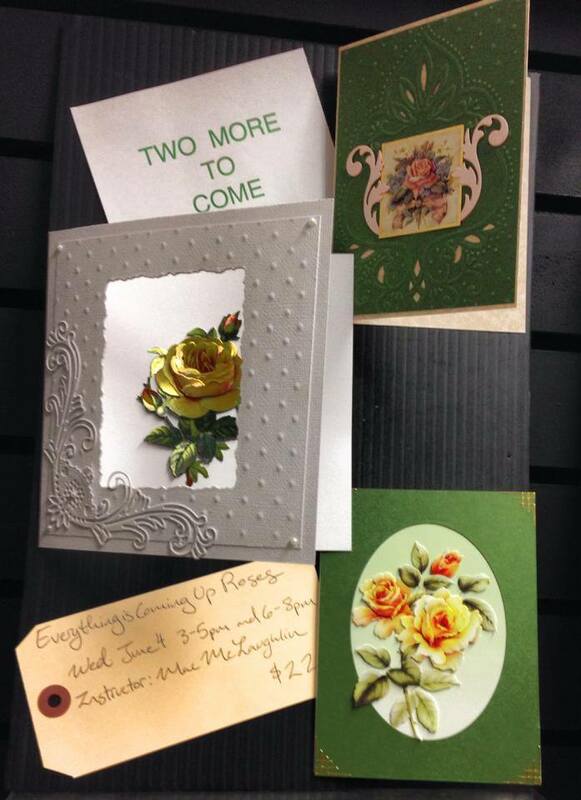 Cards will accent a layered rose collection. Two will feature decorative die-cuts to complete your card masterpieces. One will feature the European Dufex finish.